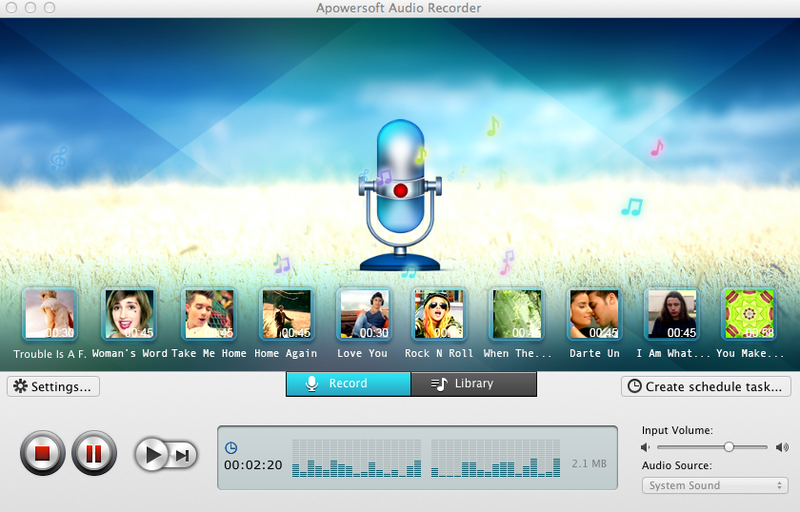 Apowersoft Streaming Audio Recorder for MAC is an all-around program you can use to record audio from both your computer’s sound card and microphone. Using this tool, you can record streaming audio and radio stations, convert audio into various formats (MP3, WAV, WMA, OGG, AAC, FLAC), search and download your favorite music, and even edit audio files and burn them onto CDs. If you want to record streaming audio from your favorite online radio station, Apowersoft Streaming Audio Recorder for MAC is a great app to consider. One feature that makes this app ideal for recording audio on a schedule is the “Create schedule task” feature. This enables you to pick a time, date, and source for making a recording. With just one click, you can quickly rip audio from YouTube, Pandora, Spotify, iTunes, Skype, or even a QuickTime Player. Multiple functions with an easy-to-use interface mean that anyone can use this product effortlessly. Find and record the perfect sound with Streaming Audio Recorder today! 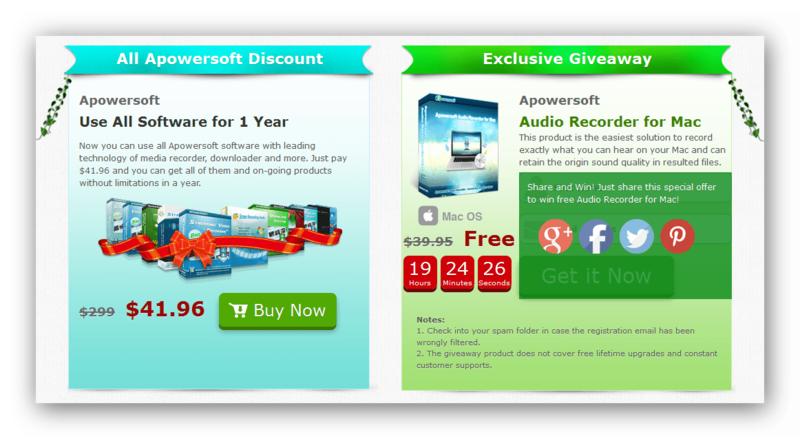 The full version of Apowersoft Audio Recorder for Mac normally costs $39.95 per serial key but as a result of a special giveaway activity and discount offer where you can get Apowersoft Audio Recorder for Mac free. The interested users just need to visit the promo landing page here, and share this special offer on your Google+, Facebook, Twitter, or Pinterest to populate/unlock the registration form. You guys just click on any one of the sharing icons and wait for a few seconds, the registration form will be unlocked so you guys actually no need to share it. When the form will be populated, you guys just need to enter your name, email address and press the “Get it Now” button to receive your free license code and download link on your email! Don’t forget to check into your spam or junk folder if you guys will not get the registration email in your inbox as may be its wrongly filtered. As you guys will receive the serial number, just put it on the application and enjoy the active full version. Also if you guys can’t receive the serial number within 30 minutes, do send a request email to the support email address listed on the page for help. Act fast if you want to grab this useful application as only 19 hours left for the giveaway. How to Use SEO to Ensure Good Positioning of Your Blog? You are sharing very interesting content but I am so late to grab it.